Enabling the real estate strategy of China's Largest e-commerce company. In 2010, Alibaba Group began looking for land in Beijing to build a high-quality office tower and consolidate multiple offices. The international e-commerce company sought a property of 50,000 to 60,000 square meters, with convenient transportation and suitable amenities for a high-tech workforce. 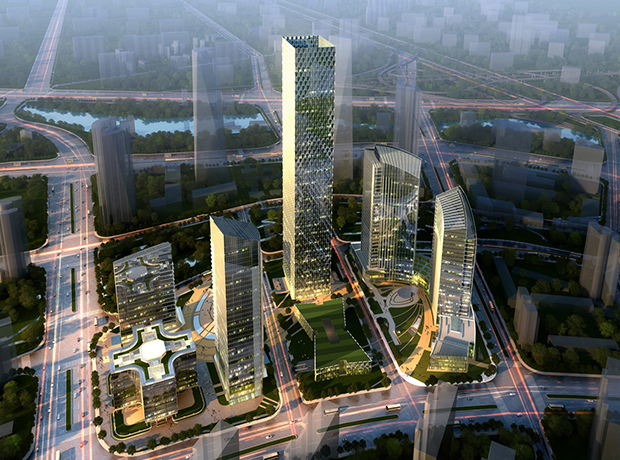 The challenge was significant, given the limited supply of office space for large occupiers in Beijing. In 2013, Alibaba appointed CBRE to accelerate the search. CBRE quickly identified three submarkets that met Alibaba’s goals for a strategic investment, and ultimately focused on Wangjing in northeast Beijing. A hub for technology firms, Wangjing offered relatively affordable land, convenient transportation, proximity to the airport and favorable incentive policies. With deep knowledge of local market dynamics, CBRE sourced Building #3 of the Beijing Greenland Center, working with owner Greenland Group to negotiate price, contract clauses and close the pre-construction sale transaction in just three months. “CBRE has provided Alibaba with extensive market research and a wide range of services throughout China, and, most recently, the acquisition in Beijing. Helping Young & Rubicam find a creative solution for its business. Designing a world-class workplace for the company building a world-class shopper network.